A.D. Hopkins spent 46 years as a journalist in Virginia, North Carolina, and Las Vegas. Much of that time he was an investigative reporter and editor, and part of it he was a touring correspondent focusing on small-town life. Hopkins’ fiction reflects realities and people he met in the small towns, police stations, and courthouses of Virginia. 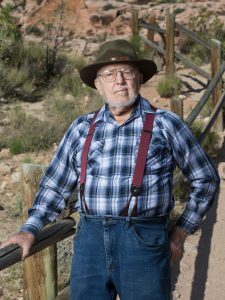 Hopkins co-authored a respected history of Las Vegas, and is an authority on early Nevada gunslingers. In 2010 he was named to the Nevada Newspaper Hall of Fame. In years past Hopkins taught fencing and was a Scoutmaster for an inner-city troop. Hopkins lives in Las Vegas, Nevada. The west coast book tour will be March 5th to April 12th. Mr. Hopkins will also be in Virginia and North Carolina in August. 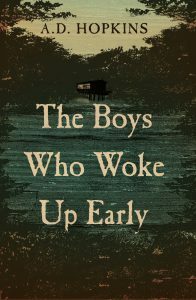 The Boys Who Woke Up Early is his debut novel and will be in bookstores and wherever fine books are sold on March 1, 2019. Playing cops was just a game until the bullets were real. The gravy train hasn’t stopped in the hollers of western Virginia for more than thirty years when Stony Shelor starts his junior year at Jubal Early High. Class divides and racism are still the hardened norms as the Eisenhower years draw to a close. Violence lies coiled under the calm surface, ready to strike at any time. "Equipped with the grace of a fencer and the attentiveness of a journalist, A.D. Hopkins drops us into the world of teenager Stony Shelor, a blossoming humanist, would-be-detective, and hopeful gallant. Read it for the pleasure of this boy’s ideas, for the perfectly pitched turn-of-phrase, for the reminder that in every community, there are those fighting for the right and the true. "—Laura McBride, author of We Are Called to Rise and In the Midnight Room.